ZIBE Dog Frisbee Toy 4pcs- Pet Training Flying Saucer Interactive Toys - Get Outside & Play! ✅ PRODUCT SIZE: The diameter of this Small Dog Frisbee Toy is 10in, suitable for medium-sized and large dogs. ✅ SAFE & DURABLE:This Dog Frisbee was made by non-toxic, which is suitable for long time use. 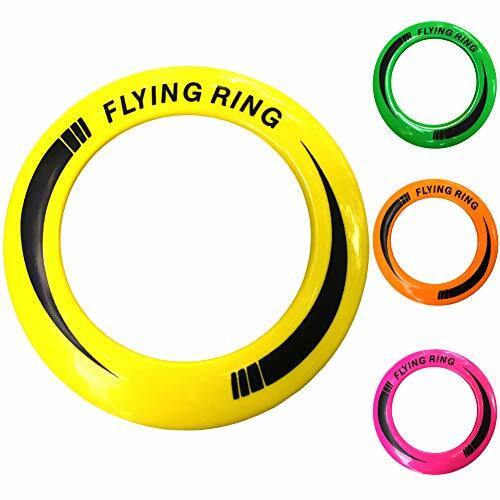 ✅ QUALITY:This Frisbee toy designed as a tool for training the dogs, it flotrs on air and floats on water, but please do not let your dog chew it! ✅ PORTABLE:Our frisbee, weight light which makes it easy to bring or carry anywhere with you, just simply slid it inside your pouch bag, picnic bag or backpack.so no worries about getting more space for some other stuff for your outdoor activities together with your dogs. ✅ DOG FRIENDLY：Having this toy for your dogs has an important role in their health, not just for playing but also they can get a good exercise with this interactive toy while running and catching the Frisbee.